The Gaping Hole in the Gap Theory – Coercion Code – "Dark Times are upon us"
Jack is a retired medical physicist. His work involved the treatment of cancer patients with high energy radiation sources. Jack is an active speaker and lecturer on Creation vs. Evolution in churches, high schools, debates, etc. When this work was originally written in 1975 the book Unformed and Unfilled by Weston W. Fields had not yet been published. Had it been, it is doubtful if this work would ever have been started. However, Dr. Fields’ work is the result of his doctoral thesis and is written at a high academic level. This presentation is aimed at the understanding level of the average person. The author is gratified that his original thesis has been substantiated by such a scholarly work. Nevertheless it is still true that when most Christians are asked their opinion about the “Gap Theory”, they reply with something like “What theory is that?” This answer indicates that in spite of all that has been written about theistic evolution to date; little has been taught in the Sunday Schools or from the pulpit about this topic. This is even more remarkable since this theory was an integral part of the original Scofield Bible notes. Because the initial verses of the Bible are so foundational to the proper understanding and application of the remainder of the Scriptures, it is incumbent that we have a proper understanding of the issue of origins as recorded there. My motive for producing a work of this nature is two-fold. On the one hand, my scientific training motivates me, and on the other my commitment to the Bible as the verbally inspired, inerrant word of the living God provided the incentive. As a person trained in the sciences, I have investigated, as thoroughly as I could, the claims of science in the realm of origins and evolution. I have found the evolutionary concept of a natural origin and development of all material in the universe to be destitute of true scientific proof and lacking even as a philosophical answer to man’s origin, purpose and destiny. The link between evolution and the gap theory is found in the theory’s statements that express a desire to provide for the lengthy time periods, or “ages,” required for evolutionary concepts and to harmonize these ages with the Biblical record of creation. My scientific rejection of the basic premises and reasoning behind the gap theory is one reason for this effort. In regard to the Word of God, the Bible, I can best sum my feelings by referring the reader to an oft quoted passage of Scripture, II Timothy 2:15. “Study to show thyself approved unto God, a workman that needeth not to be ashamed, rightly dividing the Word of truth” (KJV). This verse points out three very important facets of dealing with the Word of God. First, the Word is to be approached “eagerly” and with “enthusiasm”, which is what the word study implies. The Word should be more than just read, since studying implies learning, and learning comes only from understanding. It is certain that one will have to put forth more effort and dig deeply to arrive at this understanding, but this exertion will provide a sound basis for any resultant action. Second, I am to engage in this study for the purpose of pleasing God and not to satisfy the demands of men, nor to enable a dtente to exist between the absolute declarations of an almighty, omniscient God and the relativism of humanistic, secular philosophies. This purpose of Bible study should ever be recognized not only in personal study but in group study as well. Third, I am admonished to rightly divide the Word. The idea is that I am to use a straight line for my walk through the Scriptures and not a tortuous path that can lead to confusion and misunderstanding. It is apparent that the Timothy verse implies that many divide the Word improperly, and this error is to be guarded against. To allow secular theory to dictate the meaning of many important verses and passages of Scripture is not consistent with the above admonition. This verse in II Timothy is my second justification for what I have written. I trust that what follows will be understandable, useful and meaningful to your study of the Biblical account of God’s creative actions. The gap theory postulates that an indefinite span of time exists between Genesis 1:1 and Genesis 1:2. This time span is usually considered to be quite large (millions of years) and is also reputed to encompass the so-called “geologic ages.” Proponents of the gap theory also postulate that a cataclysmic judgment was pronounced upon the earth during this period as the result of the fall of Lucifer (Satan) and that the ensuing verses of Genesis chapter 1 describe a re-creation or reforming of the earth from a chaotic state and not an initial creative effort on the part of God. The gap theory is not of recent origin but can be traced back to the early 19th century when the new discipline of geology was breaking upon the scientific scene. Theologians were in no intellectual position to argue, from a scientific basis, the claims of the geologists that the processes responsible for the formation of the surface features of the earth were occurring at almost imperceptibly slow rates as they had always done in the past (the principle of uniformity). Rather than accept the accusation that the Biblical record was no longer valid in the light of “scientific” claims, they chose to accommodate the Scriptural presentation to these new geological theories. A place had to be found for the vast ages of the past, well beyond the accounts of the first man and his environment as recorded in the Bible, and the most accommodating place was between the two aforementioned verses of Genesis. While the gap theory, or ruin-reconstruction theory as it is sometimes called, is not the only effort at this type of accommodation, it is the most popular theory among those who feel the Biblical record of origins merits their attention. Some have even proposed that the gap should be placed prior to Genesis 1:1, but they insist on a “gap” nevertheless. It is the author’s opinion that while these efforts at reconciling the Bible with geological claims are very enthusiastic and sincere, they are quite unnecessary. The Text, as given, is quite capable of standing alone in the face of all the criticism that can be engendered by so-called “scientific” claims and theological interpretations. One important fact should be kept in mind when considering the gap theory. This interpretation of Genesis and associated passages of Scripture was not developed in an effort to solve apparent problems with the Text. It was not difficulties with the fall of Satan or the condition of the earth during the six days that precipitated the theory. It was, and is, an effort to solve the problem of time. The time of the earth’s formation, according to natural science, is extremely long and drawn-out, while the Biblical record describes a relatively recent, rapid formation. There were, and still are, those who are quite unwilling to make a decisive choice between these two accounts and thus the gap theory. As has been previously pointed out, the gap theory, along with other accommodation theories, is an attempt to reconcile a great age for the earth, as presented by geologists, with the relatively young age as deduced from the Biblical record. Since many proponents of the gap theory would disclaim a belief in an evolutionary process of earth history, it is instructive to evaluate the “geologic ages” to determine if they can, indeed, be separated from the theory of evolution. The geologic ages represent the time scale of the standard geologic column. This so-called “column” is composed of animal and plant fossil remains found in layers of sedimentary and igneous rock. These remains are arranged in layers and interpreted by geologists and paleontologists to present a record of gradual developmental sequences that propose to demonstrate the gradual evolutionary change of simple forms of animal or plant life into different, more complex forms. The record of ascendancy is thought to be from simpler forms in very ancient times to the more complex forms in modern times. Figure 1 shows a simplified diagram of the geologic column with the postulated life forms and their assumed age eras. It is most important to understand that in the “geologic column” the ages of the various layers are determined by the form of the fossil remains found therein. Older levels in the column are “old” only because they contain what are believed to be simpler, more primitive, less developed or incompletely evolved life forms. The invertebrates are assumed to have evolved first, followed by fish, amphibians, reptiles and mammals in that order. It should be obvious that the basis of the structure and arrangement of the geologic column is the concept of slowly evolving life forms which in reality and fact is the ” THEORY OF EVOLUTION” as proposed by Charles Darwin in 1859. Gap theorists hold that the need for a re-creation, as they interpret Genesis chapter one, is based on the loss of plants, animal life and surface features of the alleged prior creation due to a world-wide, complete, catastrophic judgment imposed upon the earth as a result of the fall of one called “Lucifer.” This proposed judgment would appear so complete as to even cause the loss of light upon the earth. This of course implies that the entire solar system, if not the universe, was destroyed. There can be no doubt that such a judgmental act would also have a serious, if not disastrous, effect upon the geological features of the then existent earth. Most gap proponents place this judgmental catastrophe just prior to the re-creative effort. However, its placement in reference to geological time, at the beginning or end, does not remove the following major dilemma. The gap theory exists for the purpose of allowing the geologic “ages” as proposed by the assemblage of the geologic column. Those geologists who believe in the veracity of this “column” as to its testimony of earth and life development do not believe in or allow for a world-wide catastrophic causation for the formations therein. These geologists, being Uniformitarians, reject out-of-hand the gap theory as having any validity in describing the early earth. This is the first dilemma. The theory is rejected by the very ones it is meant to appease. The second dilemma is that the effects of such a catastrophic event in earth history, as proposed by the gap theory, would preclude the survival of the very geologic phenomena the theory purports to support. Such destructive forces as to leave the earth “waste and void” (gap theory terms) in its totality would surely disturb or remove any of the evidence used to adduce the geologic column and the geologic ages in the first place. If, as some gap theorists claim, the judgment was responsible for the formation of the fossil record, then the geologic column must have been formed rapidly contrary to the opinions of the evolutionary geologists. Since many of the advocates of the gap theory subscribe to the validity of the Scriptures, an effort is made to substantiate the “gap” claims by appealing to word studies and textual references connected with comments and phrases found in the Genesis narrative. These references are not too numerous, and we can deal with substantially all of them in this paper. The twenty six verses listed above all use the word “asah” (make) not “bara” (create) to describe the same actions of God that are declared in Genesis 1:1, where “bara” is used. As you read these verses you will note that the majority of the cited passages refer explicitly and pointedly to the “making” of the heavens as declared in the Genesis 1:1 account. Clearly the two words are synonymous when used to describe God’s creative acts. The two words in question, “create” and “make,” are also used with the same intent and meaning when animals and man are formed. A second “proof” put forth to substantiate the gap theory is the declaration that the word “was” in Genesis 1:2 should be translated “became.” This, of course, is done so as to allow a change of state to occur from verse one to verse two. That is, the initial, perfect creation of verse one “became” without form and void, indicating a transition to have occurred. It is true that the word used here in the Genesis text can be translated as either “was” or “became,” however it is the context of the passage which dictates the choice of the word. This means that the transition or change of state must first be clearly understood from the overall picture (context) as presented in the passage. Perhaps a few examples will suffice. Passages such as Genesis 3:22; 19:26; 21:20 and Exodus 7:19; 8:17; 9:10 demonstrate “became” properly used in context. Additional support for the gap theory is recruited, or perhaps conscripted is better, from the phrase “without form and void.” An appeal is made to consider other Biblical texts in which these words are found together and it is pointed out that these passages, Isaiah 24:1 and Jeremiah 4:23 are judgmental in character and context. This claim is true only if one limits the context to the verses, for when considered in their complete context the support begins to vanish. In both of the cited passages the judgment which is spoken of is future and is not a statement of a past action of God. The subjects of the judgments are Israel and Edom and not the entire earth. Not only is it a future judgment limited to a specific peoples, but the judgment spoken of is itself limited, not a comprehensive world wide judgment as required by the gap theory. Both Isaiah and Jeremiah, in the context of the subject judgments, show that there will be survivors on the earth (or land) that is to be “without form and void.” This would certainly not be true for the postulated condition following the world-wide catastrophe as claimed. These two verses are not the only ones containing these words in the Old Testament. They are used in a number of places and translated with a variety of words. Without giving an exhaustive analysis of these verses, it suffices to say that they are all suitably translated by rendering the Hebrew “tohu” and “bohu” (without form, void) as “empty” and “lifeless.” Usually the implication is a place not suitable for habitation such as a desert. This condition could be the result of a judgmental action, but again as before, the context must show that to be the case. A context of divine judgment is difficult, if not impossible, to exegete from Genesis chapter one. It is clear from the text that the necessary and desirable features of an earth suitable for man’s habitation were absent in Genesis 1:2, however, this does not justify the interpretation that “without form and void” means ruined, chaotic or judged. An additional appeal is made by the gap theorists to Isaiah 45:18 where it is stated that the earth was not created in “vain” (tohu). They claim that since this is so in Isaiah, the “tohu” of Genesis 1:2 precludes the condition of Genesis 1:1 as being contiguous. When one considers the remainder of Isaiah 45:18 the context becomes clear. The verse continues by stating that “He (God) formed (asah) it (the earth) to be inhabited.” The word in opposition to vain is inhabited, thus allowing the rendering of “tohu” as uninhabited. The verse does not then speak of a condition, but of an intention or purpose. It was not God’s purpose to create the earth to be uninhabited, and the remainder of the Genesis narrative tells how God achieved His desired end, a complete creation dwelt in by those created in His own image. The concept of empty or lifeless is still suitable. Thus the phrase “without form and void” is not an indication of a chaotic state, but the earth is well ordered and awaiting further (creative) commands from God. Some gap theorists continue on in verse two of the first chapter of Genesis and interpret the word “darkness” to describe an evil or ungodly condition. This, however, is a meaning forced upon the word by the theory and not the meaning of the text. Proceeding on to verse five finds the darkness receiving a name, “night,” and being considered as part of a twenty four hour day as implied by the words evening and morning. There is nothing in the text that would indicate that physical darkness, and that is what is in view here, has any evil connotation whatsoever. In fact the Psalmist declares in Psalm 104:20, “Thou (God) makest darkness . . . ” and then goes on in verse 24, still in context, to declare “O Lord, how manifold are thy works, in wisdom hast thou made then all” (KJV). The reference, of course, is to physical darkness or nighttime, and no evil connotation is implied. To say that an evil condition exists in Genesis 1:2 because of physical darkness is giving a meaning to the word not found elsewhere in the Scriptures. Spiritual darkness is another matter entirely, but there is no warrant for making such an inference in the Genesis verse under consideration. Attention is often directed to the word “replenish” in Genesis 1:28 in an effort to support the gap theory postulate that this is the second go-around for life on earth. On searching through a rather thorough Hebrew lexicon, I was unable to find a single word for “replenish” or “refill.” Only the word “fill” is listed and again the context of the passage must be used to determine whether an initial or subsequent filling is meant. With the verse in question there is no textual cause to render the word “refill” as there might be in Genesis 9:1 where Noah and his sons have the job of starting all over again. One cannot cease to stress the importance of contextual consideration when investigating the meaning, use or implication of words and phrases in the Scriptures. Perhaps the most touted “proof” offered for the gap theory resides in the speculation that the “gap” provides an excellent place to chronologically insert the fall and judgment of Lucifer into earth history. Elaborate details are invoked to picture the perfect creation in verse one despoiled by a cataclysmic judgment of sin prior to verse two that resulted as a consequence of Lucifer’s prideful attitude toward God and his (Lucifer’s) subsequent punishment. This argument is probable the most impressive of all inasmuch as Satan (Lucifer) is a viable reality to those who believe the Scriptures and his attitude toward God and God’s attitude toward him is clearly revealed. The “proof” texts offered in this cause are of course, Isaiah 14:12 to 15, and Ezekiel 28:12 to 19. These texts have been quoted to the end mentioned above so many times that we have a tendency to accept them as such. However, it would appear that a very careful study of the entire context and the wording of the above passages reveal a slightly different picture. First consider the Isaiah passage. To set the context begin at least with chapter 13 and read through verse 23 of chapter 14. One will immediately see that the subject of this entire judgmental passage is the kingdom of Babylon. The prophecy is stated to be about Babylon (chapter 13:1) and its judgment, and in chapter 14 a restoration of Israel is first mentioned, then the portion from verse 4 to 23 is called a “proverb” or “taunting speech” (KJV marginal note). This is to be a “saying,” if you will, of Israel in regard to their former enemy and conqueror during the captivity. With Israel, the downtrodden, restored in verses 1 and 2 and Babylon the great one, completely destroyed, Israel can boast to the other nations of their (Israel’s) favor in the eyes of the Lord (perhaps as a warning) and they are to do so with the passage under consideration. Verse 12 of chapter 14 does not begin a new thought on the subject, but is an integral part of a smooth flowing narrative describing the defeated and demolished Babylon. Perhaps it is the word “Lucifer” of verse 12 which causes this verse to be removed from its context and made to describe a totally unrelated event. The Hebrew words translated “Lucifer” are literally nothing more than “day star,” “shining one” or “sun of the dawn,” and are used as a description of the king of Babylon. The Babylonians gave great credence to astrology and perhaps there is some implication of that in this passage. The language used in the text is such as would be used by the king of Babylon to describe himself, and thus becomes even more caustic (the purpose of the saying) when compared to his final end. The language of verses 13 and 14 likewise reflect the extreme egocentric thinking that is usually present in the mind of an absolute, tyrannical monarch. The purpose of such descriptions is to establish a very vivid and marked contrast between the two conditions of the kingdom of Babylon, from the heights of greatness and prosperity to the depths of eternal hell. The passage goes on to describe some of the king’s actions such as “shaking kingdoms,” and “destroying cities.” This, of course, would require a civilization (human) to be present at that time, and the judgment of such persons, if the gap exists, presents some very difficult theological problems, in relation to their eternal destiny, that will not be dealt with in this paper. The king is also referred to as one “. . . who would not let his captives go home.” This, undoubtedly, refers to the Israel captivity in Babylon, and not an action of Satan himself. The text continues to describe kings who have died prior to the fall of the subject monarch, (verses 18-20) and were not destroyed by a world-wide judgment. One additional fact should be pointed out to help establish the point that a human king and not Satan is the subject. Verse 22 declares that God will keep any relative of the deposed regent from ever regaining the throne of Babylon. God says, in effect, that He is ending the dynasty. Certainly there would have been no need for such action had Satan been the ruler in view. The angels of heaven have no descendants. The conclusion, therefore, is that the passage in question refers rather explicitly to a human ruler who lives, reigns and dies subsequent to the events of Genesis chapter one. In regard to the Ezekiel passage, there is perhaps more debate on the application of this text than the Isaiah passage due to the language employed. Yet, the text itself again tells us to whom the message is to be applied, “a lamentation upon the king of Tyre.” In fact the context of this portion goes back to the beginning of chapter 26 where prophecies against Tyre begin. It should also be observed that the section of Ezekiel beginning with chapter 19 and continuing through chapter 39 consists of a series of prophecies against various nation and city-states, namely Israel, Jerusalem, Samaria, Babylon, Ammon, Tyre, Egypt, Seir, Gog, Magog and other individuals and places. All of these prophecies are apparently aimed at the future of real, earthly, human kingdoms, and there is no suggestion that Ezekiel has been commanded to utter a prophecy against any heavenly creatures. While it is argued that the language of chapter 28:12-17 cannot be applied to any earthly being, but must refer to one possessing angelic qualities, it can also be said that the same contrast as in the Isaiah passage is being developed. While the language is highly symbolic and figurative, it is an attempt to demonstrate that the elegance of position and possession of authority should not be allowed to go to one’s head. No matter how exalted the person or place is, in man’s eyes, there is always a responsibility to God attendant with the blessed condition. All authority is given by God (Romans 13:1) and the authority is thus responsible to God. When the nation’s leader or any authority sees itself as the origin of that authority and engages in unwarranted self-esteem, it is usually brought down in a humbling fashion. Similar language to that of Chapter 28:12 to 17 is found in chapter 31:3 through 17 where the already fallen Assyrians are described as being envied by all the “trees of Eden that were in the garden of God.” Their downfall, through pride, is described in verse 10 of this passage. Verse 18 indicates that symbology is being used in reference to the trees of Eden since they are said to be “slain” and “cast into the nether parts of the earth.” It is this same type of symbology that is being used throughout the Ezekiel discourse, and it cannot be firmly linked to a description of a previous downfall of Satan and the introduction of sin into the universe. How Satan came to be what he is, is shrouded in mystery, however his judgment and fall from heaven is described and it is a future event, not past history. Satan still has access to heaven as the account in Job 1:6,7 clearly indicates. Satan is also described as standing before the heavenly throne accusing the brethren. Revelation 12:7 to 13 describes this and the fall of Satan to earth. Revelation 20:10 describes the judgment imposed upon Satan. Jesus’ comment in Luke 10:18 can only be interpreted as a prophetic statement in light of the Revelation verses. There are no other verses in the entire Bible that force an historical, as opposed to a prophetic, interpretation of these verses. The verses of Genesis chapter 1 most certainly describe the beginning of the physical universe (time, energy/matter, and dimension) suitable for occupation by man. Job 39:7 would infer that spiritual beings were present during this event. Of course we know that all things were created (Col. 1:16, John 1:3), but the chronology of the created spiritual beings is not given. It must be noted that even if Satan was already “fallen” before the creation of the physical universe, the physical universe could still be referred to as “very good.” One could speculate that when the “morning stars sang” and the “sons of God shouted for joy” that Satan, seeing the creation of the earth and the inhabitants thereon, desired to rule over them. This of course would not support the Gap Theory postulate of a “fall” between verses 1 and 2 of Genesis. Finding Satan in his degenerate state in Genesis 3 has always been a theological conundrum. Returning for the moment to the “proof” texts of Isaiah and Ezekiel, we do not find in these texts any wording or comments that imply or state that the imposed judgments, on the various kings and kingdoms, were global in scale or effect. 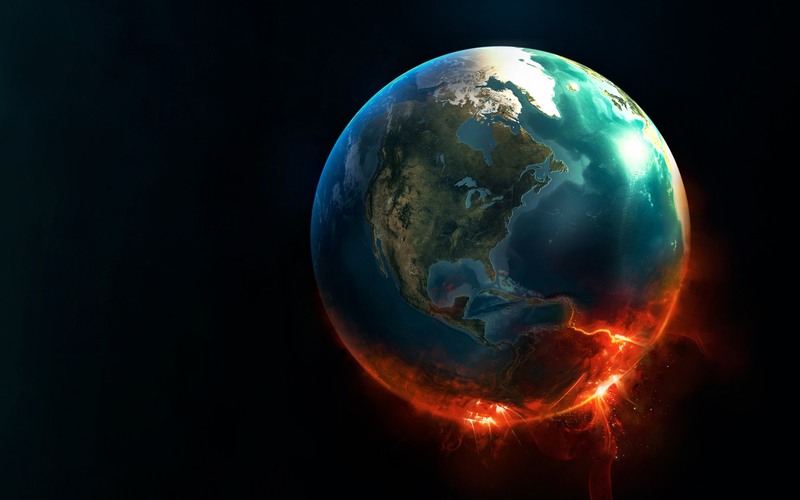 Thus, even if one were to allow for a parallel between these verses and the fall of Satan, there is no textual justification for imposing a primeval world-wide, cataclysmic judgment upon the entire earth. The only judgment of such a nature, to date, is found in Genesis chapter 7 and this event is subsequent to Genesis 1:1,2. In regard to the subject of the fall of Satan and the Genesis “gap” the question might be asked, “if the gap is a necessary time interval during which the ‘fall’ is accomplished, how long does it take to achieve such a ‘fall’ and subsequent judgment?” One cannot really answer such a question. However, the descriptions of the fall (Luke 10:18 and Revelation 12:19) would certainly imply a rapid descent, and the judgment (Revelation 20:20) does not appear to be a lingering event. So if we allow, for the sake of discussion, that this future event did occur between Genesis 1:1 and 1:2 there is no need to postulate vast ages of time, other than to support the geologic ages of evolutionary presuppositions. We have looked, in some detail, at the verses quoted by the gap theorists in support of their position. There are many other Scriptural problems that the gap theory must also face. In understanding God’s word to us we must consider each part of the revealed text in relation to every other part. That is, the Scriptures must present themselves as a unified whole, non-contradictory and cohesive throughout. Each precept and doctrine must be supported by all pertinent sections of the Bible and where conflicts occur, we must question our interpretation or understanding of the subject in question. The gap theory should be analyzed in just such a fashion. The descriptive statements promulgated in support of the theory must be compared to all of Scripture, not just the “proof” texts we have already considered. With this in mind the following is offered for your consideration. The developmental sequence of the creation week (six days) must not only be thought of in a chronological sense, but it must also be considered as a cumulative event as well. That is, the conditions brought about on day one are still present on day two, and day two really represents a sum of the actions of day one and two, and so on through the week. The gap theorists have Satan fallen to the earth prior to day one, but still present throughout the subsequent week. They postulate, for example, that day two is not described as “good” since the atmosphere was made that day, and Satan is known as the “prince of the power of the air” (Ephesians 2:2). There are two problems that occur with this reasoning. First, Satan is also referred to as the “prince of this world” three times in the Gospel of John alone, and the earth (world) is nevertheless called “good” in Genesis 1:10. Secondly, if Satan is present, and we all agree that he is the embodiment of evil and ungodliness, why does the summary statement of Genesis 1:31 declare that everything that God had made during the week was not only “good,” but “very good?” Incidentally, this verse also covers the creative acts of day two, when the atmosphere was made, so it too is considered “very good.” It would appear that there would be conditions present on the earth (the fossil record) subsequent to the gap theory judgment and during the creation week that would give stark testimony to the death and destruction of the proposed wrath of God. How these conditions, which would still be evident in the “fossil record,” could be called “very good” with the reason (Satan) for the destruction still at liberty on the earth is hard to understand. The gap theorists would have us believe that a long break occurs between Genesis 1:1 and 1:2 and then in verse three the “re-creation” week begins. This reasoning would separate the “creation of heaven and earth” from the rest of the week by some indefinite time period, and certainly then, by their own reasoning, the ‘heaven and earth” creation cannot be considered to be a part of the re-creative week which follows. There are some Scriptures which disagree with this logic, namely Genesis 2:1 to 4 and Exodus 20:11 and 31:17. These verses clearly include the creation or making of the “heaven and earth” within the six creative days. To insist on a creation of the “heaven and earth” separate from the six stated days does great injustice to these texts. It must be pointed out that the Genesis 1:1 statement is the only creative statement in the entire first chapter with reference to “heaven.” If we are to understand the words of the Exodus verses in the sense of their clear, plain meaning and common usage, then we must conclude that day one began with Genesis 1:1, and therefore no gap. The postulated judgment of the pre-Adamic world is said by the gap theorists to be a complete and catastrophic dealing with sin as a result of Satan’s fall. This judgment is claimed to have destroyed a perfect earth and all its inhabitants. It is assumed that this destruction resulted in the death of those primeval beings who populated the planet at that time. Since we are obviously dealing with the earth and not the entire universe, a major conflict arises between the theory and other Scriptures. A study of the fifth chapter of Romans reveals that death did not appear on the earth prior to Adam’s transgression. Added to this are the claims of I Corinthians 15:21, 22 that by “man came death” and “as in Adam all die.” It is easily seen from these Scriptures that death on the earth did not precede Adam’s sin, but resulted from it. To insist that anything died prior to the judgment passed upon Adam is to be in contradiction with these passages in Romans and Corinthians. We must remember that one of the reasons for having a gap theory in the first place is to accommodate the geologic ages with their extensive fossil records. The fossil record which is assumed to have developed slowly over the eons, speaks clearly and eloquently of death and destruction and if it is allowed to be found prior to either Satan’s or Adam’s fall as the adherents of the theory claim, then the logic leads us to the conclusion that death is not the result of anyone’s sin, but must be attributed to the design and purpose of God in His alleged “original” creation. This reasoning is quite contrary to the person and character of God. In a context of judgment and deserved death (Ezekiel 18:32 and 33:11), God declares “I have no pleasure in the death of him that dieth” (KJV, emphasis mine). It would appear from the claims of the gap theory that the fossil record can be explained in one of two ways. First the classical evolutionary concept of a slow formation using presently observed (?) processes acting at present rates (uniformitarianism), or as a result of the postulated cataclysm resulting from the judgment of Satan. The first concept, which needs the geological “ages” and is believed by a large segment of the population, we reject as being a patently unscientific concept to account for sudden death and preservation of soft parts of animal structures. The second concept allows for an abrupt change in the environment which could achieve the observed result. There is, however, a major problem with this concept since it places this calamity prior to the great world-wide flood of Noah’s day, which in reality is the true explanation for the majority of the fossil record. If the ruinous event proposed for Genesis 1:2 is the cause of the fossil records that we see today, what effect did the flood of Genesis chapter 7 have upon the earth? In an effort to solve this problem, many gap theorists have proposed one of two flood views. The first, and most absurd, is that of a “tranquil,” world-wide flood. In this concept the water that covered the earth rose and abated with nor much more than a ripple. It is postulated that the waters were so gentle that they had no effect on the surface features of the earth. This precludes the effects of tides, so the moon, whose gravity attraction is responsible for the ocean tides, must not have existed either. Also the observation of one heavy rainstorm refutes this concept. The second, and more prevalent, view is that the flood of Noah’s day was only a “local” flood and not world-wide in scope or effect. This idea is in conflict with the many Scriptures describing the flood, but the most serious problem it raises is found when reading the statements of God as found in Genesis 8:21 and 9:15. God says, in these verses, that He will never again food the earth as He did in Noah’s day. Now, if His action was only that of causing a local flood in the Mesopotamian valley, then the promise to never do such a thing again has been broken time and time again over the ensuing centuries. This explanation of the flood does nothing more than impugn the veracity of God! As a last example of the gap theory’s inability to harmonize with the full content of the Scriptures, let us look for a moment at a particularly important verse, Romans 14:12. This verse teaches the individual responsibility of man before God. I am not responsible for your sin any more than you are responsible for mine. My sin is an act of my will and expresses my corrupt nature as inherited from Adam. Nevertheless it is I alone that must give an account of my relationship with God. I can claim the blood of Jesus Christ as payment for my individual sin and be accounted as acceptable to be in God’s presence or, as many have, reject the gracious provision given by God. The point is it is an individual undertaking, and decision either way. This concept is not hidden in obscure Biblical texts requiring complicated interpretations to unravel, but is the open claim of the entire Scriptures. With this thought in mind, it is difficult to conceive of a disastrous judgment upon the earth and all its inhabitants because of the action of one angel whose home was not the earth in the first place. This appears to be contrary to the perfect judgmental actions of God as recorded throughout the Bible. Abraham put it very well when he was pleading (indeed bargaining) with God not to destroy Sodom. In Genesis 18:25 we read, “Far be it from thee to do after this manner, to slay the righteous with the wicked: . . . Shall not the Judge of all the earth do right? (KJV)” To have slain all those dwelling on the earth for the misconduct of an angel would be capricious to say the least. There are no verses that declare that the entire earth became sinful after a “fall” of Satan. Each angel is responsible for their own behavior before the God who created them, just as I am. The previous sections of this paper have attempted to demonstrate that the so called “gap theory” is unacceptable from several points of view. From a scientific perspective there is no support from either the facts of science or the postulates of the evolutionary concept of “geologic ages.” As to the theory’s relation to Scriptural content, it has been shown that the claimed “proofs” are superficial and mostly contradictive to the immediate and overall context of the verses applied. These problems are not unexpected, and the incomplete acceptance of such a theory by the Biblical community comes as no surprise when one considers that the primary purpose of the theory is an attempt at reconciliation with humanistic science. This appeasement must be rejected in whatever form it is found since it can only detract from the sacred Scriptures and can add nothing to them. There is nothing in the considered Genesis text that requires such a concept as the gap theory. Our understanding of God’s Word is important and vital both in Christian witnessing and in the conduct of our personal lives. “Ye therefore, beloved, seeing you know these things before, beware lest ye also, being led away with the error of the wicked fall from your own steadfastness. But grow in grace and in the knowledge of our Lord and Savior Jesus Christ” (KJV). Allis, Oswald T. The Five Books of Moses. Philadelphia, PA: Presbyterian and Reformed, 1969. Chafer, Lewis Sperry. Systematic Theology Vol. II. Dallas, TX: Dallas Seminary Press, 1964. Feinberg, Charles Lee. The Prophecy of Ezekiel. Chicago, IL: Moody, 1969. Fields, Weston W. Unformed and Unfilled. Nutley, NJ: Presbyterian and Reformed, 1976. Gish, Duane T. Evolution the Fossils Say No. San Diego, CA: ICR, 1973. Hartill, J. Edwin. Principles of Biblical Hermeneutics. Grand Rapids, MI: Zondervan, 1960. Henry, Matthew. Commentary on the Whole Bible, Vol. 1: Genesis to Deuteronomy. New York, NY: Revell. Keil-Delitzsch. Commentary on the Old Testament, Vol. 1: The Pentateuch. Grand Rapids, MI: Eerdmans. ——–. Commentary on the Old Testament, Vol. 7: Isaiah. Grand Rapids, MI: Eerdmans. ——–. Commentary on the Old Testament, Vol. 9: Ezekiel. Grand Rapids, MI: Eerdmans. Lammerts, Walter E. (ed.) Scientific Studies in Special Creation. Nutley, NJ: Presbyterian and Reformed, 1971. Leupold, H. C. Exposition of Genesis, Vol. 1. Grand Rapids, MI: Baker, 1975. Mitchell, Edward C. (ed.) Student’s Hebrew Lexicon; Based on Gesenius and Furst. Grand Rapids, MI: Zondervan, 1960. Morris, Henry M. Biblical Cosmology and Modern Science. Nutley, NJ: Craig, 1972. ——–. The Remarkable Birth of Planet Earth. San Diego, CA: ICR, 1973. ——–. (ed.) Scientific Creationism. San Diego, CA: Creation Life, 1974. Rumball, C. L. Chaos and Darkness. In Slavic Evangel. July-August, 1958. Seagraves, Kelly L. Jesus Christ Creator. San Diego, CA: Creation Science Research Center, 1973. Waltke, Bruce, K. The Creation Account in Genesis 1:1-3. Part I. In Bibliothecasacra. Vol. 132, No. 525. Dallas, TX: Dallas Theological Seminary, January-March 1975. ___________. The Creation Account in Genesis 1:1-3. Part II. In Bibliothecasacra. Vol. 132, No. 526. Dallas, TX: Dallas Theological Seminary, April-June 1975. Young, Edward J. Studies in Genesis One. Grand Rapids, MI: Baker, 1964. Young, Robert. Analytical Concordance to the Bible. Grand Rapids, MI: Eerdmans. Zimmerman, Paul A. (ed.) Creation, Evolution and God’s Word. St. Louis, MO: Concordia, 1972. 1 Adapted from Morris, H., Whitcomb, J. The Genesis Flood. Philadelphia: Presbyterian and reformed, 1973. p.133.